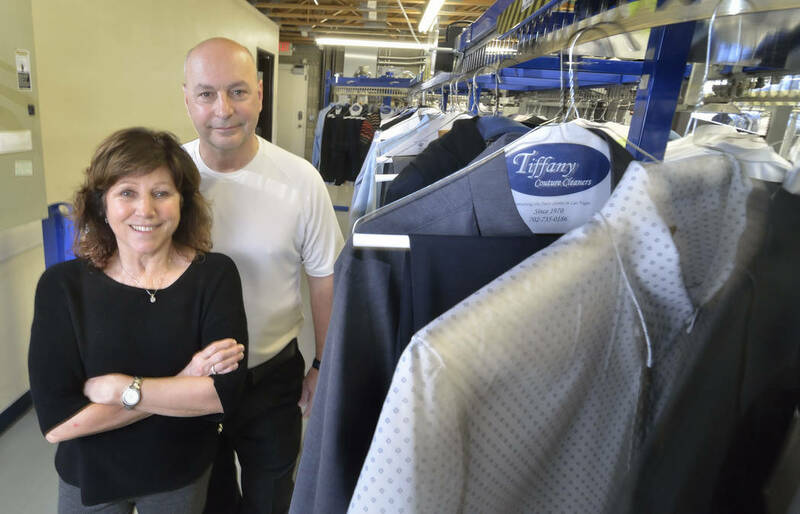 Serving the Las Vegas Valley for more than 48 years, Tiffany Couture Cleaners has a rich history of working with the area’s entertainment industry. Its famous claims include dry cleaning the costumes and wardrobes of Liberace, Donny and Marie Osmond, J-Lo, Brittany Spears and several Smith Center and Cirque du Soleil productions. “That is what we are known for,” said owner and operator Judy Del Rossi. “Monday and Tuesday are big show days. She also talked about cleaning Miley Cyrus’ wardrobe following her world tour and gowns for Mariah Carey. She recalled Carey’s gowns were handmade and beaded, making them too heavy to hang, requiring the staff to return them to boxes when finished. Tiffany’s services extend beyond the entertainment industry. It specializes in high-end dry cleaning, shirt and laundry services, pressing, tailoring, alterations, garment restoration, fur care and storage, leather cleaning and bridal care. It has a main plant of operations, two drop locations and five trucks servicing the valley with free pickup and delivery service. In March, the couple plans to open a third drop location in Henderson off St. Rose Parkway and Spencer Street. Judy Del Rossi’s father, Edward German, purchased Tiffany Cleaners after traveling to Las Vegas in 1970. It was located in the historic Commercial Center District on Sahara Avenue. He and his two brothers, Jack and Emilio, had been operating a small chain of stores, G&G Dry Cleaners on the East Coast. As the business grew, German convinced his brothers to sell G&G and move to Las Vegas. The brothers operated the cleaner together until German left Tiffany in 1977 to work in the gaming industry. His two brothers stayed and continued operating the business. This reputation earned them the privilege of servicing the entertainment industry. The original Tiffany had a fur vault in the back of the business. There, the cleaners stored many of its clients’ furs. 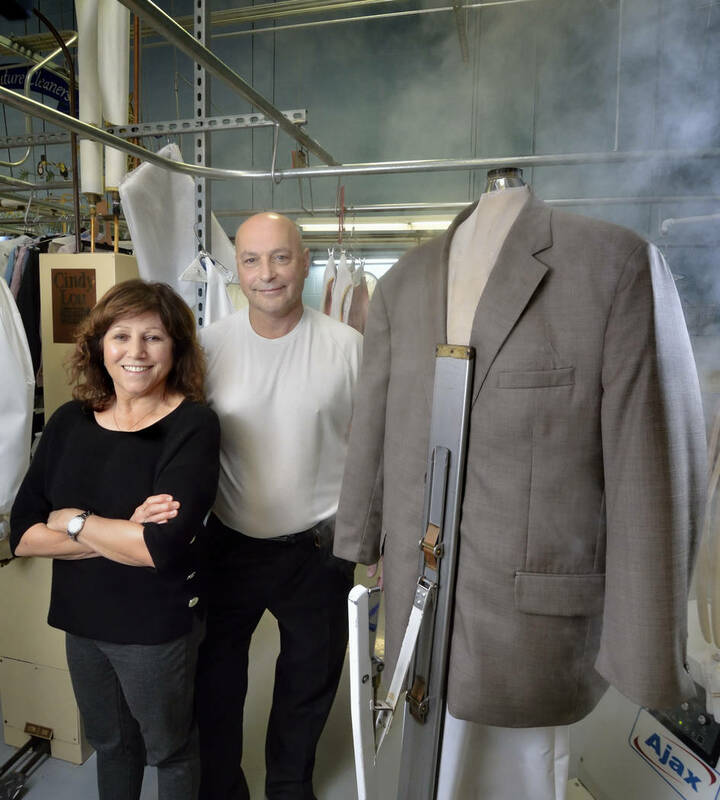 In 2005, Judy Del Rossi’s uncle, Emilio German offered her and Dan Del Rossi the family business. Both Edward and Jack German had since died. Emilio German died soon after the couple took possession of the business, leaving them with a difficult decision. Being chosen by America’s Best Cleaners (ABC) to be an affiliate offered the couple assistance on running and updating their business. ABC is a trade certification organization. As an ABC affiliate, the business is subject to strict scrutiny. ABC conducts annual inspections, monthly secret shops and spot peer reviews to ensure Tiffany meets the highest standards in the industry. 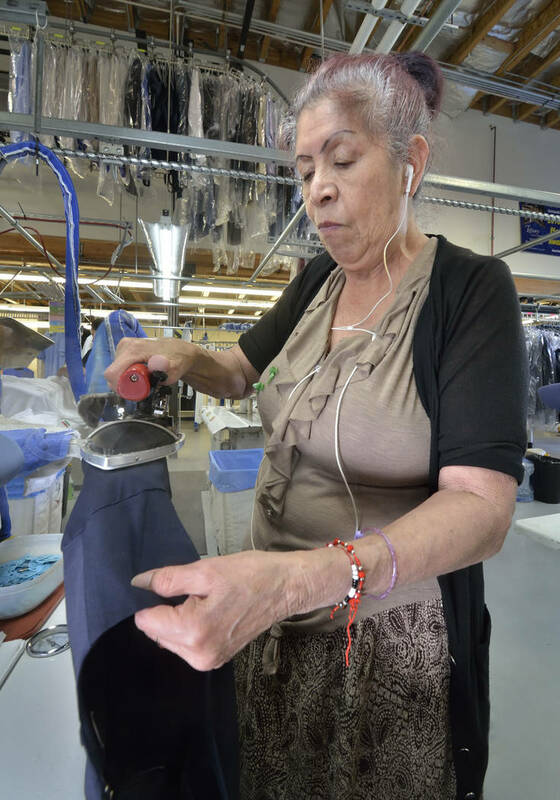 To meet these standards, the business makes sure each garment is tested and inspected three times for creases, spots, missing buttons and undone hems. 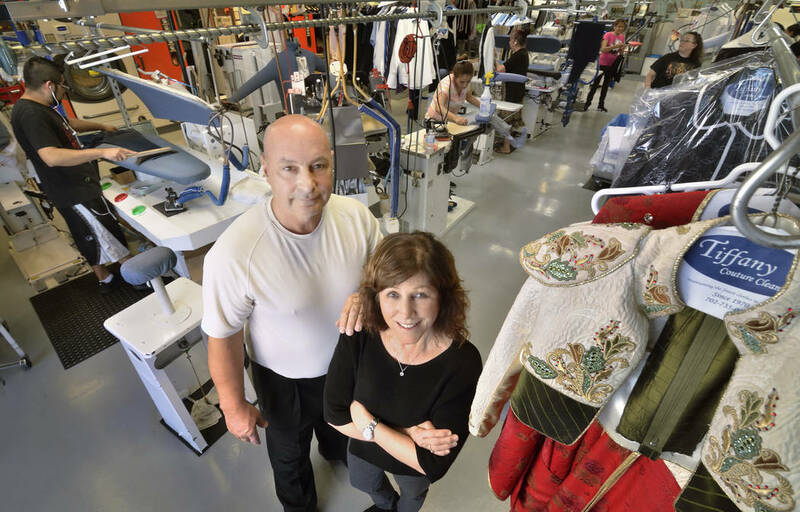 Since the couple took ownership 13 years ago, the business has enjoyed significant growth. They opened two drop locations — 4199 South Fort Apache Road and 2197 Maryland Parkway and moved the main plant operations from its original location to a larger facility, 10445 Spencer St., three years ago. Renovating the 7,500-square-foot Spencer Street location took about 18 months to complete. The couple doubled the operation area from 2,500 to 5,000 square feet, and installed all new computerized equipment. The upgrades included an automatic bagger that bags 150 orders in an hour and a computerized bar coding system to keep track of customer’s garments. 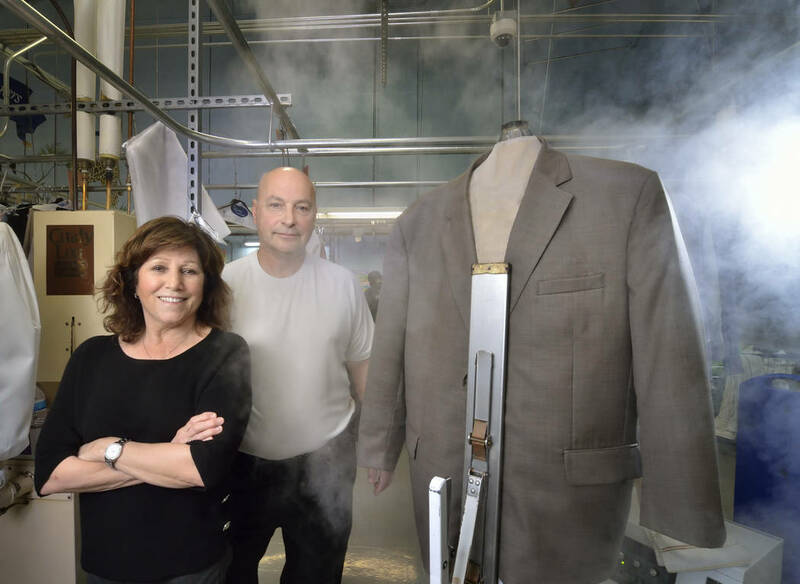 They also changed their chemicals to 100 percent environmentally safe solvent and added another dry cleaner, two washers, presses and finishing machines. The design of the plant earned them ABC’s 55th Annual Outstanding Production Facility Award. Later this year, the couple plan to install a computerized distribution conveyor that automatically organizes all the delivery items. According to Dan Del Rossi, this will speed up the delivery process considerably. Opening early March, the new 1,300-square-foot Henderson location at 10445 Spencer St. will offers a unique feature for customers — drive-up, curb-side service. The couple is hiring two to three new staff members and investing more than $40,000 to open the Henderson location. Overall, Dan Del Rossi estimates investing over three quarters of a million dollars into the company. Tiffany’s generates just under $2 million in revenue annually. 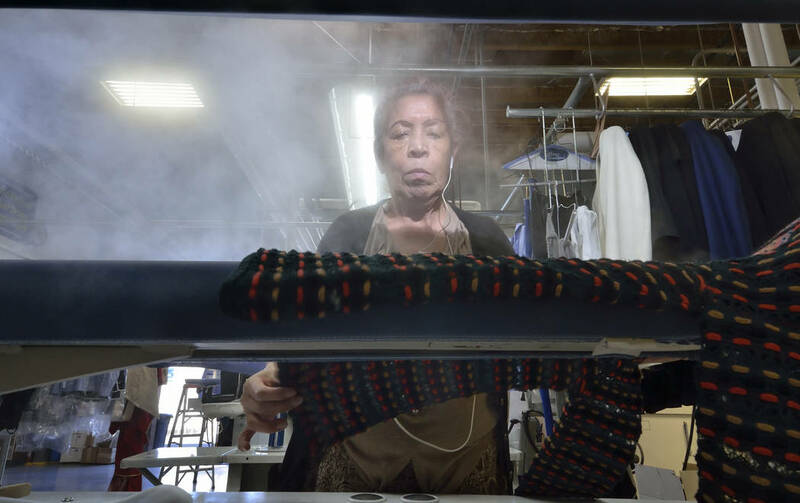 The company has 28 employees and averages 1,500 pieces of clothing daily.